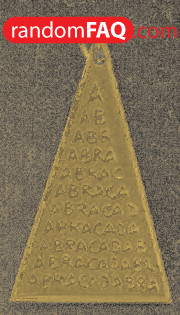 Q. Serenus Sammonicus wrote that an amulet with the word abracadabra cascaded in a triangular shape would sweep one of an illness when worn. This practice has survived in some of today's [neopagan] religions, and the word/phrase itself has survived under different meanings. 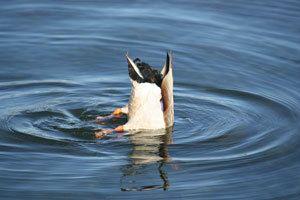 The magical connotation of abracadabra might come from the Rramaic "avra kehdabra meaning 'I will create as i speak." It makes more sense if you picture a magic wand in the hand of the speaker.